Transportation planning and progress has been dysfunctional and elusive in Hillsborough County for over 20 years. 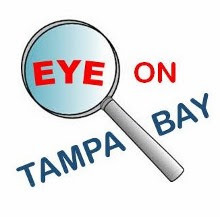 After three failed sales tax initiatives, from the committee of 99 to to Moving Hillsborough Forward to GO Hillsborough, and multiple unfunded Long Range Transportation Plans from the Hillsborough MPO, the “Powers” that be may have finally faced reality and the future. On Wednesday, June 6th the Hillsborough BOCC voted to send a future transportation revenue plan presented to them earlier this year to the county Citizen Advisory Committee for their consideration and advisement. The plan was initially presented by Dr James Davison to the Board on April 4, 2018. Davison's plan consists of 5 separate revenue sources totaling $8.468 Billion, yes billion with a “B”, over the next 25 years. About $6.2 billion goes towards transportation, but the unique thing about this plan is that for its last 20 years there is no increase in your property tax millage or sales tax rate. There is a small increase of 1/4 percent in the sales tax for the first 6 years until 2026 and then the sales tax returns to its current 7%. There are “No New Taxes” for Hillsborough residents in the plan. $ 1.137 Billion Hillsborough Co.
**Note: The CIT tax is a local infrastructure sales surtax enabled by FL 212.055. The statute currently only accommodates a 1/2 percent or 1 percent tax. The state legislature will need to amend the statute to support 1/4 percent or make it similar to the transportation sales surtax that can be any percentage up to one percent. We believe the state will accommodate when the county (or counties) request the change. Dr Davison stated that over $2 billion would go to transit or almost 3 times what was being allocated with GO Hillsborough. Plus over $4 billion dollars to the county and cities to pay for repaving, bridge repair, sidewalks bicycle paths, increased road capacity and new technology. All within a shorter period of time and with no new taxes. At 1/4 percent, the renewed CIT will raise more money in 20 years then the present CIT did at 1/2 percent in its last 20 years and over $1 billion dollars more then in its first 20 years. After Dr. Davison made the presentation to the BOCC on April 4th , Commissioner White requested that the plan be forwarded to the county Citizens Advisory Committee (CAC). County Administrator Mike Merrill requested that the administration “vet” the numbers before taking them to the CAC. Last month Dr Davison and Commissioner White met with Hillsborough County's Director of Finance, Bonnie Wise, Director of the Budget Tom Fesler and Chief County Economist Kevin Brickley in separate meetings. It was confirmed that the numbers and future estimates in the plan are accurate. Of course they were the county's own numbers to begin with. Wednesday June 6th the BOCC unanimously voted 6-0 to send the plan on to the County CAC. Conspicuously, Commissioner Ken Hagan and County Administrator Mike Merrill, who keep pushing tax hike referendums, got up and left the room right before Dr. Davison was to speak Wednesday. Commissioner Hagan has a consistent behavior of rudely walking out of meetings when he does want not his vote recorded. Since Hagan is running again, he should be asked by voters/constituents if he supports the county seriously looking at this alternative funding plan. Davison stated there is still a lot of work to be done, but he is confident that this plan can be accomplished. “There is no reason to raise taxes when we have growth in our revenue streams going on like we are have in Hillsborough County”, he said. The key is funding priorities. In addition, Davison could not explain why the MPO has not included “Value Capture” to pay for transit capital costs in the LRTPs like it did prior to 2000. Value capture includes recovering some of the property value gains to finance the transit project. The Trump Administration has stated they want to make federal transit grants conditional on value capture. The Hillsborough County Citizens Advisory Committee meetings are held the 4th Friday of every month at County Center. We anticipate numerous different groups will be there to weigh in on the matter and we will also be keeping an EYE on it. We have often asked here at the EYE the same questions. Why has it taken so long to come up with a plan that together with revenues already committed over the next 25 years, will provide Hillsborough county over $17 billion dollars to improve roads, transit and mobility. All without increasing taxes. The county commissioners must seriously consider this plan and throw out any plans that would needlessly raise taxes.